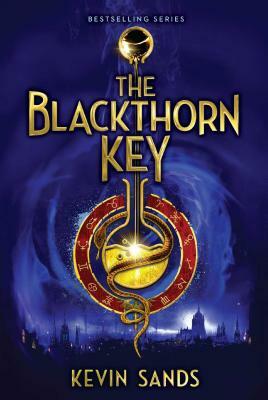 Following a series of murders, an apothecary’s apprentice must solve puzzles and decipher codes in pursuit of a secret that could destroy the world in this “spectacular debut” (Kirkus Reviews, starred review). "Captivating! A masterful page-turner brimming with secrets, traps, friendship, intrigue, pigeons, potions, loyalty, and explosions. Kevin Sands has created an engaging, kind-hearted, and humorous young hero in apothecary's apprentice Christopher Rowe. This thrilling adventure will keep you hooked." "Magic, adventure, and things that go boom--I love this book." "First-time novelist Sands has written an exciting and self-assured tale of alchemy and dark secrets . . . Sands adeptly balances the novel’s darker turns with moments of levity and humor, and fills the book with nicely detailed characters and historical background—plus lots of explosions. It’s a story that should have broad appeal, while especially intriguing readers with an existing interest in chemistry, history, and decoding puzzles." "An auspicious debut middle grade novel . . . The story is well paced, managing not only to keep readers hooked, but also second guessing everything they think they know. Sands integrates a series of fun and interesting riddles and codes with chemistry concepts—no easy feat. The ending is dynamic and rewarding, with just the right blend of the fantastical and realistic. One of the true triumphs is the author’s ability to create a character who feels accurate for the time period, while also displaying a modern sensibility that will keep readers engaged . . . VERDICT This is an excellent story for readers who enjoy puzzles, action, and fantasy; keep an eye out for future installments." "An inspired blend of action, adventure, science, history, and humor, filled with fascinating facts, clever codes, and wonderful characters."